Side A mixed for Catch Productions. Side B written, produced and arranged for Monster Production. Mixed at Plantation Studios. 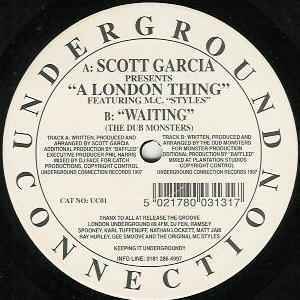 Thanx to all at Release The Groove, London Underground 89.4FM, DJ Fen, Ramsey, Spooney, Karl Tuffenuff, Nathan Lockett, Matt Jam, Ray Hurley, Gee Smoove and The Original MC Styles.